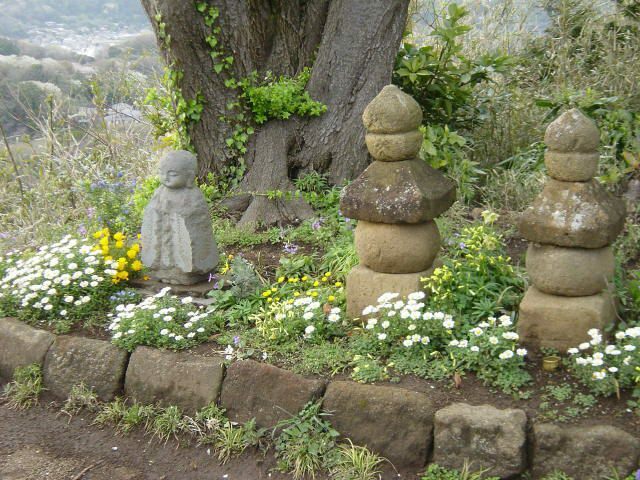 Japanese tradition includes many stacked and balanced stone pieces, including Ishidoro stone monuments to deceased souls, notably the 5-tier Gorinto and 3-tier Hokyo-into grave markers found typically in cemetaries, but sometimes also found along mountain trails and roadways. 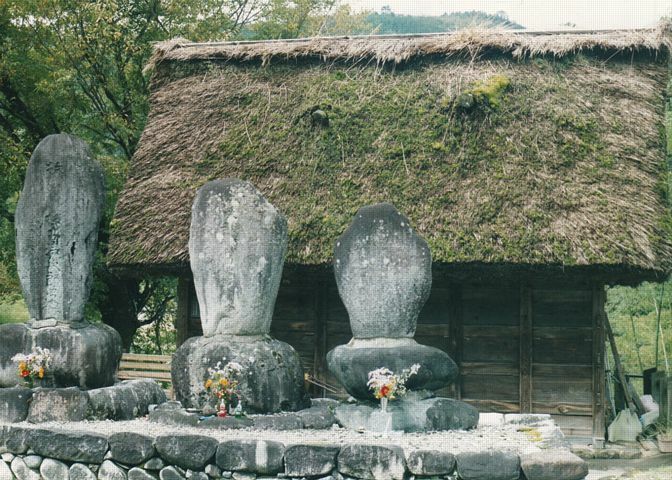 Funerary urns are often the simple Hokyo-into with three or fewer stones with flowers and other offerings commonly placed at the base. 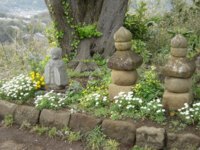 Mark Schumacher, resident of Kamakura since 1993, has documented these -- and nearly every other aspect of Buddhist and Shinto practice. 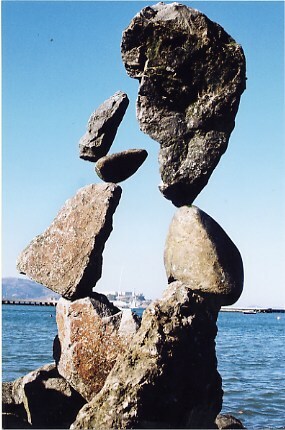 His Onmark Productions website is a stunning compendium of artistic-historical-cultural appreciation and spiritual devotion (and his bilingual web designs). 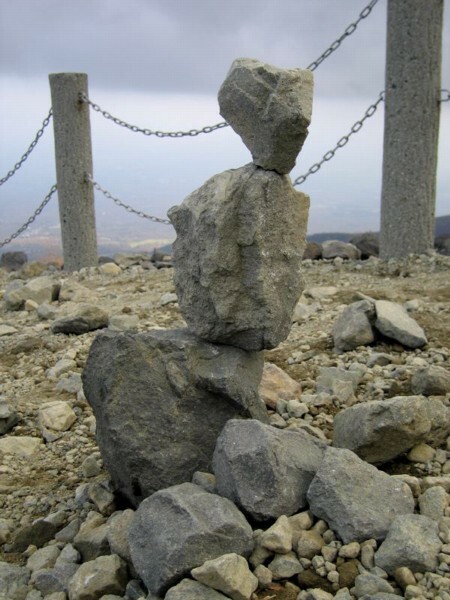 "'Stone stacking' is also a form of prayer in Japan," he reports. 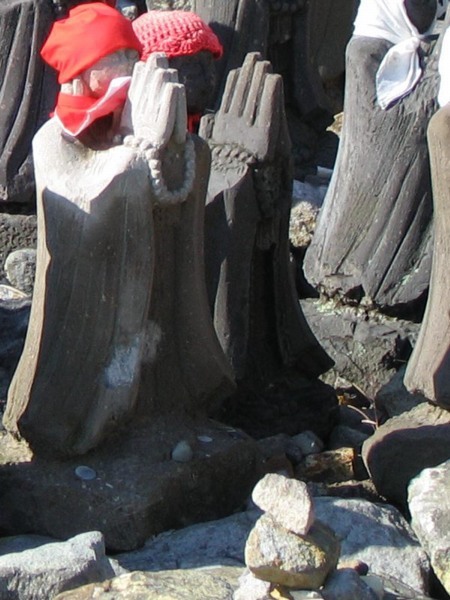 Visitors to the Nasu Hot Spring Shrine will find large and small stacks of rock and stone piled along trails and within groups of Jizo statues. 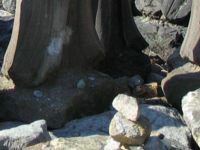 Legends of this area include a monster vanquished and turned into a boulder. 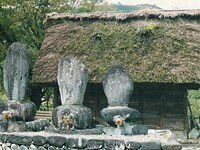 Placing a stone atop it, or atop one like it, is a ritual act for visitors. 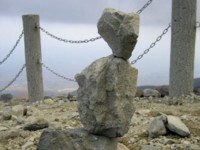 In the rocky, mountainous heights above, some more modern pilgrims have stacked balanced stone cairns.